Proper care & Maintenance of our new mattress & latex foam topper. 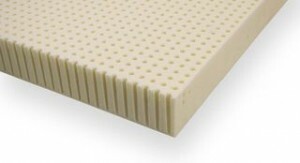 Home → Mattress Topper → Latex → Proper care & Maintenance of our new mattress & latex foam topper. We bought a new Beautyrest mattress and Latex topper from you. They are amazing! I cant find the care sheet that came with the mattress, but remember something about having to turn it often the first year or so? Can you send me the link for that? Thanks and thanks again for a great night’s sleep. My whole family wants a latex topper for their bed now, so we will be ordering more soon! The mattress/topper combo is a wonderful thing. I never get tired of hearing how much my customers like them, and I’m very happy to know that you are enjoying yours. Rotate your mattress every month for the first year. Rotate it every 3 months thereafter. You can leave the topper in place when you rotate the mattress. Regular rotation of the mattress promotes more even wear, which extends the comfort life of the mattress. In case anyone reading this would like to know what you bought, here are the links. The Beautyrest was the World Class Annapolis Place in luxury firm and the latex foam topper was the 2″ soft Talalay.